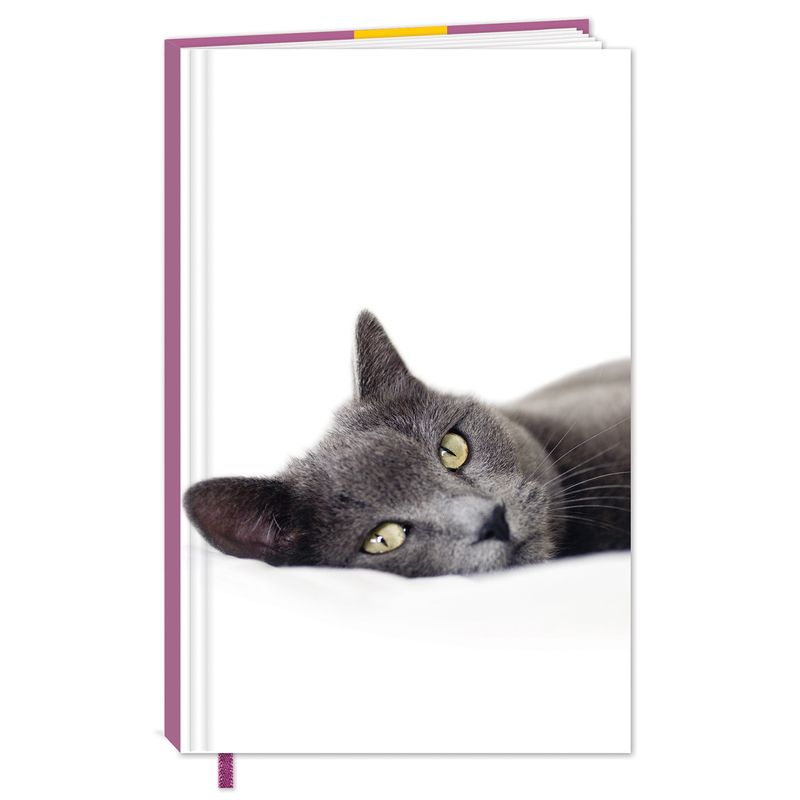 An A6 notebook featuring a stunning grey cat and containing 160 lined pages. With hardback cover and ribbon marker. 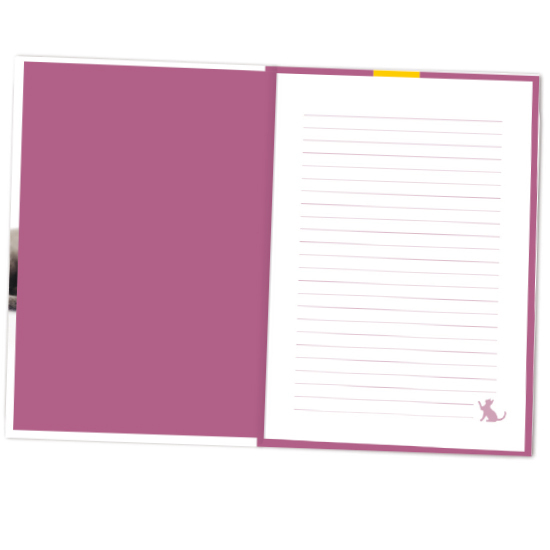 Size: 102 x 149 x 11mm.